All Tea. All Shade. The Cabaret of the Decade. 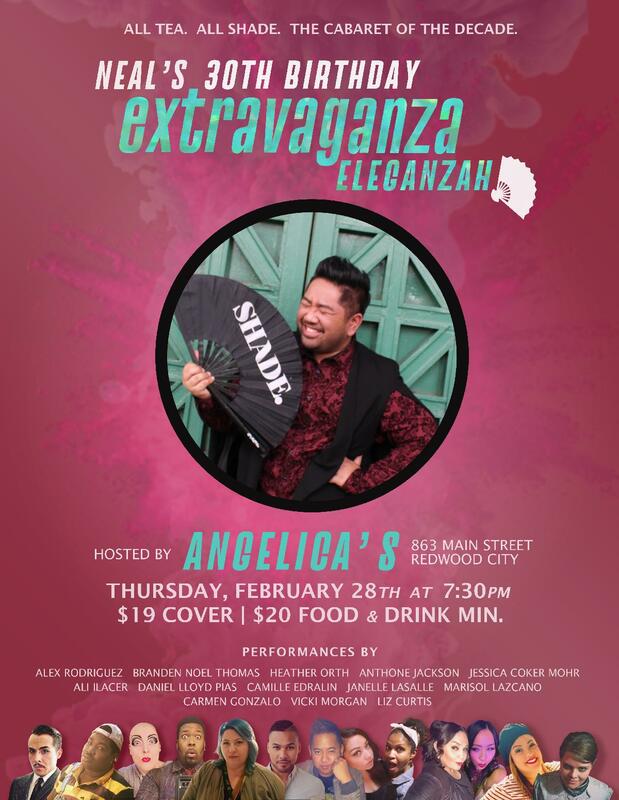 Join us for an evening filled with fierce belting and impeccable shade thrown at the one and only, Neal Pascua, as we celebrate his 30th Birthday. Featuring some of the Bay Area’s top musical talents and shade queens Liz Curtis, Camille Edralin, Carmen Gonzalo, Ali Ilacer, Anthone Jackson, Janelle LaSalle, Marisol Lazcano, Jessica Coker Mohr, Vicki Morgan, Heather Orth, Daniel Lloyd Pias, Alex Rodriguez, Branden Noel Thomas, and more surprises! The incomparable Sean Kana will be on the piano!"